Have a swinging good weekend! 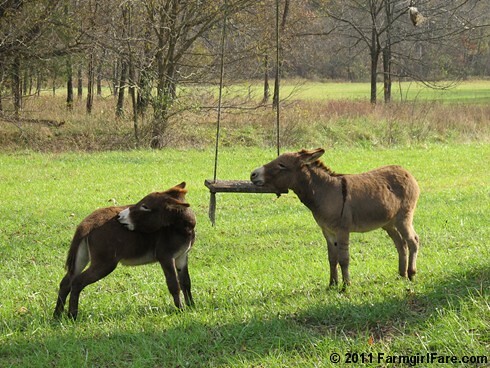 © FarmgirlFare.com, where an old homemade swing makes a silly scratching post, but our young donkey boys obviously missed my hunky farmguy's recent lesson showing how it's really used. Awww, thanks for the smiles! 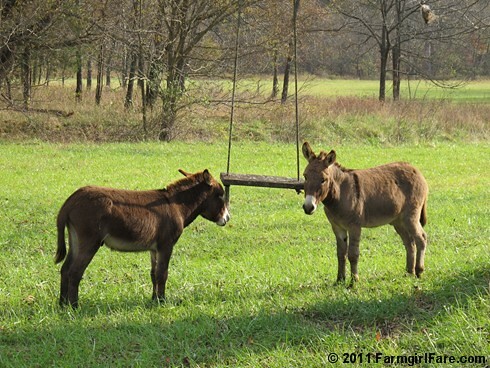 They are two cute donkey boys. Who doesn't love (and need!) a good scratch now and then?